To be honest, I've never watched the movie "Star Wars" so I had no clue who's who.. 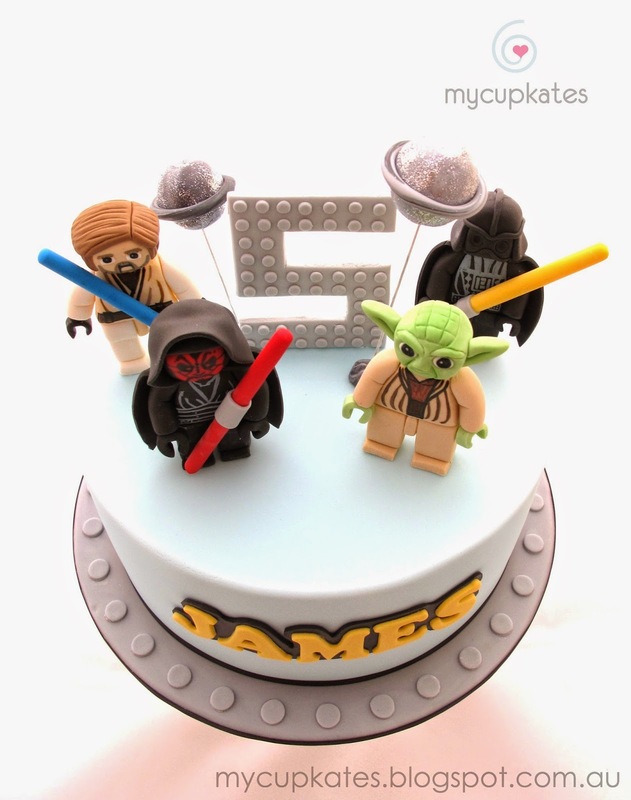 The cake made me study about characters of Star Wars & Star Wars Lego.. The character I made is Yoda, Darth Maul, Darth Vader & O Be Wan Kenobi. I had fun painting lego figurines.. As soon as I started painting each character, it looked more and more like lego figurines. It's 8inch chocolate cake filled with chocolate ganache which is my favourite. 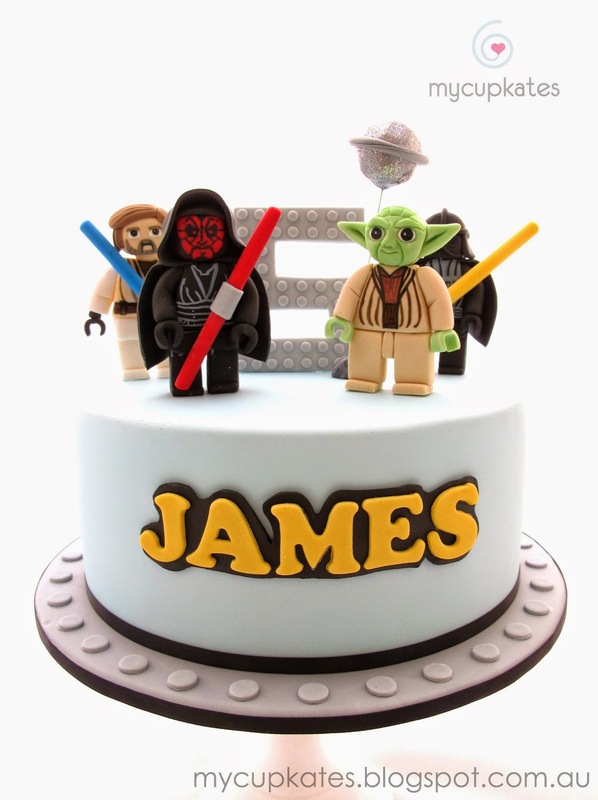 I hope James had lots of fun at his birthday party with his friends. Over the past few years, I've made his cakes and found his favourite characters always changing. His second birthday cake was Disney cars and he had the Toy story cake for his third birthday. Now, he's more into "Boy-ish stuff" How amazing! My daughter's into Snow White lately and it's no surprise to see her changing her mind in a few weeks to Elsa(again!) or Sleeping beauty,etc. She wanted to have Frozen cake for her fifth birthday (still long way to go..) before but now she wants Snow White cake so I better be ready for every possible chance my daughter might feel like until her birthday next year. It's the beauty of kids..They love everything!